Planning a road trip but got no car or need a bigger one for your whole squad? 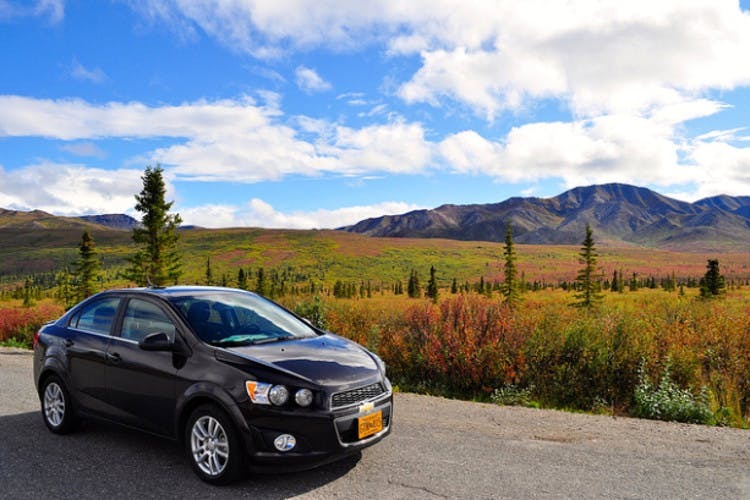 Rent a car of your choice at one of these car rental services that drop and pick the car at your convenience. Choose from a range of cars that include Mercedes Benz too. Hatchbacks, sedans, and SUVs, Zoom has a car for all your needs. While you can rent a Mercedes GLA at INR 240 per hour, their hatchbacks like Ford Figo, Maruti Swift, Hyundai I20 Elite come at INR 70 per hour only. The process is all easy peasy — you book a car, upload your license, and get an access to a car of your choice. They have an all-India permit so you can vroom into infinity (or till Kerala and back). Plus, their customer service and roadside assistance are good. If you are looking for a range of new cars, then Avis has a fancier fleet that you can grab. Right from Brezza and Baleno to Hyundai Creta, Avis has it all. Plus, they have some epic ones like Duster, Mercedes E Class, Ford Ecosport that you can drive all you want. The price range starts at around INR 2,900 for hatchbacks (for a day) and can go up to INR 9,610 for a Mercedes. They also have chauffeur-driven cars along with airport and railway transfers. MyChoize has an edge over the other rental services with unlimited kilometers, doorstep delivery and pickup of the cars (even at the airport). Offering hatchbacks, sedans, SUVs as well as luxury cars, the price range starts at around INR 2,400 and goes upto INR 5,000 for a day. This is perfect for the ones looking for really long drives as you don’t have to pay up a lot with its unlimited kilometers feature. The fanciest of all arrives in the end but in style. Popular city-based car rental company – Driven (that also operates in Vizag and Bengaluru) has a cafe in Hyderabad. Here, you can rent Tata Nano to a Porsche 911 Carrera and a Lamborghini to killer bikes like Hayabusa, Ducati. The price range falls between INR 60 to INR 5,000 per hour depending on your choice. Hit them up well in advance if you plan on renting their automobiles for longer durations and go on a drive in a fancy car!